Unit 706 in beautiful Sanibel Condominium is a newly purchased and beautifully decorated condo with all of the comforts of home. The kitchen is fully equipped and boasts granite countertops. The entire living room, kitchen, and dining area is all open glass front that overlooks the emerald waters of the Gulf of Mexico. A public beach access with a boardwalk and shower is located directly across the street. West beach is a very quiet neighborhood, with little traffic and is surrounded by beach homes, yet is minutes away from all of the local attractions. 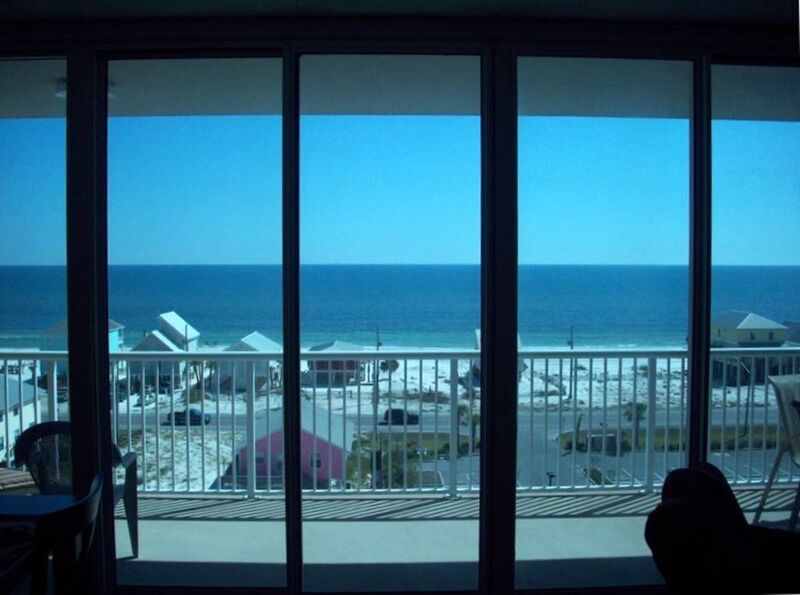 There are no condos directly in front of Sanibel, therefore the view is breathtaking. The large balcony is a favorite of our guests and spectacular views of both sunrises and sunsets can be enjoyed right from the balcony. This unit is owned by a Christian couple who serve on staff at a Southern Baptist church in Enterprise, AL and take pride in offering a clean, safe environment for your family to enjoy a vacation on the gulf. We do rent by the night as well as by the week and extended rentals are also welcome! Flooring consists of ceramic tile and carpet. We love this building, stay here every year! First time in this condo, it was amazing! Great views, super clean, very accommodating owners! This condo is fantastic! The view is amazing to be across the street from the ocean. We thoroughly enjoyed ourselves. All appliances and furniture is up-to-date, works, and SUPER clean! No hassels here! Can't say enough great things!!! We will be renting this again and again!! Very beautiful condo! Pictures don’t do it justice. Walking distances to water. Very helpful hosts! The condo was beautiful, we had a fantastic time. We love the location, it wasn’t far from the beach. The owner was fantastic. He checked in to make sure everything was going well. I would highly recommend this condo. Very clean and nice condo with an awesome view. Enjoyed the stay with plenty of room for our group. I can't say enough good things about this condo. Mr. Stringfield was very accommodating in allowing us a "last minute" extra night and his communication was excellent regarding the property. We had everything we needed for comfort and relaxation. Kitchen is fully stocked; bedding is comfy; closets had lovely complimentary goodies and toys to enjoy the beach (we even left a few of our own for the next guest to enjoy). Plenty of space so that we didn't feel crowded. Nice to keep laundry clean throughout our weeklong stay. The view is beautiful and we saw dolphins practically every morning. Short walk to the beach, short drive into restaurants and shopping. Only recommendation is for maybe the condo association to provide shaded areas at the pool. Nothing that could be remedied by the owner. Would absolutely stay here again! Also would like to note that we were in town for the Little League World Series and had friends staying at other condos for much more $$$, and our little haven was larger and nicer than theirs. Definitely recommend! A $20 parking pass must be purchased on site. A $90 cleaning fee applies regardless of the length of stay. ONLY SATURDAY TO SATURDAY GUESTS PLEASE FOR PEAK SEASON: APRIL 1-AUGUST 31.